Spider-Man: Homecoming (Production code: C) recently wrapped its Atlanta portion and has moved on to New York. The film, which stars Tom Holland, Michael Keaton, Marisa Tomei, and Robert Downey Jr., ended August and started September in downtown Atlanta near the Fulton County Government Center. On September 8, crews were spotted at Lenox Square. On September 17, signs were placed off of Highway 54 in Peachtree City. The most visual stunt of the month came on September 18, downtown at Peachtree Center, where stunt doubles for Spider-Man and a woman dangled below a helicopter 200 feet in the air. A newcomer this month, Logan Lucky (TRP), starring Sebastian Stan, Adam Driver, and Daniel Craig—as well as Channing Tatum, Hilary Swank, Seth MacFarlane, and Katherine Heigl, has recently begun principle photography. Logan Lucky revolves around two brothers who attempt to pull off a heist during a NASCAR race. In late August, the film shot in East Atlanta Village and at the Atlanta Motor Speedway. On September 7, the production took a trip out to Powder Springs before settling down in Douglasville from September 8 through 19. Most recently, crews were back working at the Speedway on September 21, and additional signs were spotted in downtown Atlanta the next day. Filming started this week on Diary of a Wimpy Kid: The Long Haul (DWK). The production is up in Peachtree Corners, although signs have also been spotted in Norcross. Although this is the fourth installment of the Wimpy Kid series, none of the cast members from the previous entries will be reprising their roles. But keep an eye out for Alicia Silverstone and Tom Everett Scott. CBS’s reboot of MacGyver (EYE) was busy again this month. After ending August in Smyrna, crews were seen working at the High Museum on September 8. On the September 10, production moved to Duluth, shooting near the Southeastern Railroad Museum. 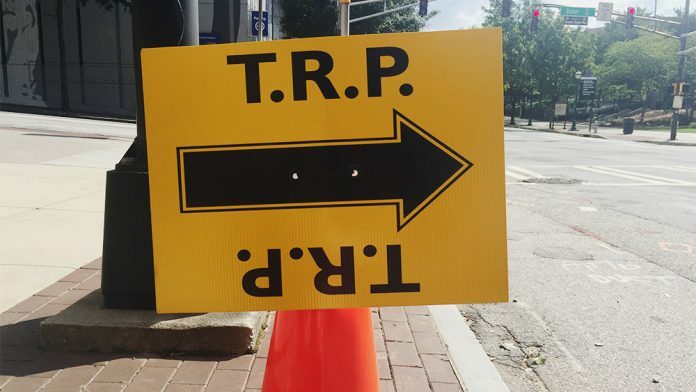 Signs were then spotted near Pullman Yard, where filming took place between September 15 and 16. Want to watch this new take on the late ’80s classic? You can catch the premiere on September 23 at 8:00 p.m. on CBS. VH1 began work on a new program, Daytime Divas (DD), in late August. Starring Tichina Arnold, Chloe Bridges, and Will Buie Jr., Daytime Divas is based on the Star Jones novel Satan’s Sisters. The show will focus on the drama behind a long-running fictional daytime talk show. Filming began on Maple Drive in Buckhead on August 30. We also spotted a basecamp next to The Varsity on September 1 in Midtown. On September 9, crews worked in Brookhaven. Melissa McCarthy is back in Atlanta for Life of the Party (GLADYS), and she brought the comedy team of Gillian Jacobs, Maya Rudolph, Chris Parnell, and Julie Bowen along with her. In the film, McCarthy’s character goes back to college, only to end up in the same classes as her daughter. According to Variety, Life of the Party will be similar in tone to Rodney Dangerfield’s 1986 film Back to School. On August 27, we saw filming at Clayton State University. In mid-September, signs were spotted in Decatur. Between September 14 and 15, a scene was shot at the Callanwolde Fine Arts Center. After that, the production crossed town to film in Underwood Hills. The Jason Bateman Netflix series Ozark (BYRDE) continued to rule OTP filming this month. Aside from its Canton restaurant set, crews worked near Lanier Islands on September 8, in Buford on September 12, and in Norcross on September 14. The next day, production signs were plopped off of Roswell Road in Marietta, and in Milton on September 18. Most recently, filming has returned to Canton. We’ve only seen little hints of these next two movies: Finding Steve McQueen (FSM), starring Travis Fimmel, Kate Bosworth, and Forest Whitaker just began production. We only spotted the heist-thriller film once, on September 14, off of Windsor Street at Collier Metals in southwest Atlanta. The other hard-to-find film, Steel Country (STL), gets a pass for being so well-hidden—it has only shot around Griffin. The taught psychological thriller about a young boy who goes missing in a small town, stars Andrew Scott, Catherine Dyer, and Bronagh Waugh. The Immortal Life of Henrietta Lacks (HeL) shot at Spelman College in late August and in McDonough on September 10. FOX’s Sleepy Hollow (SH), now shooting its fourth season, was in Loganville on the September 7 and in Conyers on September 21. BET’s Being Mary Jane (SNC) was spotted in Austell on September 20. Twin CW vampire shows The Vampire Diaries (LOC) and The Originals (TOGS) shot in Decatur on September 14 and 21, and in Conyers between September 19 and 22, respectively. There’s a bit of good and bad film industry news to report this month. First, the bad: August ended on a sour note when cars belonging to crewmembers of The Leisure Seeker were ruined in a flash flood during production. According to Deadline, this type of flood damage has happened before—in the same location—during Rings last year. Ultimately, production management provided rental cars and paid insurance deductibles for the damaged cars. And the good: Georgia’s film industry generated $7 billion in economic impact for the past fiscal year, about one billion more than last year. The growth makes sense if you consider that both North Carolina and Louisiana had their film industries severely weakened after each state reduced tax credits. (North Carolina’s industry also suffered after the passing of HB2, more commonly known as the “Bathroom Bill.”) If the tax breaks go, so does the industry. So let’s not do anything rash, shall we?